Vapour Organic Beauty's award-winning and cult-worthy natural, non-toxic, cruelty-free foundation adapts to your unique skin tone and complexion, revealing your most beautiful skin. Let go of convention with Atmosphere Soft Focus Foundation. The Soft Focus formula is designed to balance normal, sensitive and combination skin while instantly providing a naturally soft and satin finish. Ingredients: Organic Camellia Oleifera (Camellia) Seed Oil, Organic Helianthus, Annuus (Sunflower) Seed Oil, Silica, Ricinus Communis (Castor) Seed Oil, Mica, Isocetyl Stearoyl Stearate*, Organic Cera Alba (Beeswax), Solanum Lycopersicon (Tomato) Fruit/Leaf/Stem Extract, Canarium Luzonicum (Elemi) Gum Nonvolatiles Wildcrafted Commiphora Myrrha (Myrrh) Gum Oil, Tocopherol (Non GMO Vitamin E – Soy), Wildcrafted Boswellia Carteri (Frankincense) Gum, Organic Ocimum Sanctum (Tulsi/Holy Basil) Leaf Extract, Organic Nelumbo Nucifera (Lotus) Leaf, Extract Pogostemon Cablin Oil, [+/–: Titanium Dioxide (CI 77891), Iron Oxides (CI 77491, 77492, 77499)]. * Eco–Cert. Have been using this foundation for years now and it is great! My daughter recommended it to me as she uses it too! 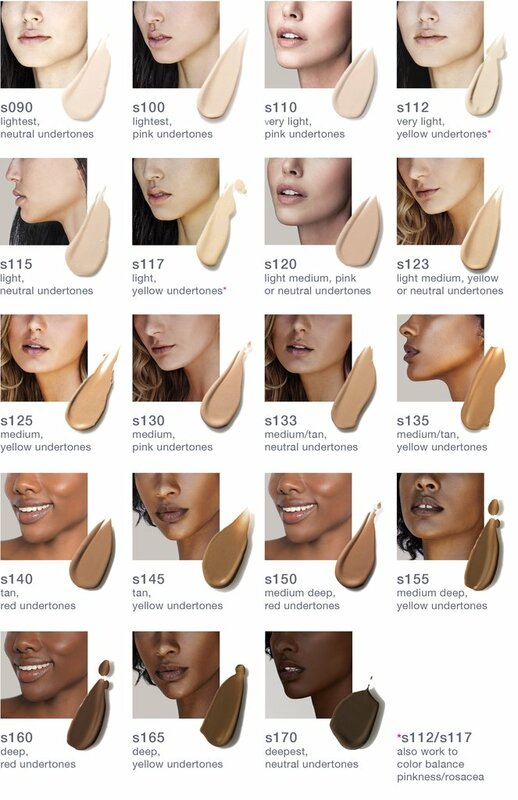 My favourite foundation of all time. Honestly, I have tried so many natural and conventional foundations and this is the best. It is definitely dewy, I don't know how this would be with extra oily skin types. I am dry, normal (combination really) I have oily t-zone after hours and hours of wear with any foundation but I use MILK blur primer on my t zone only and my handmade face oil as a primer (Serena Moon) then I set it with my handmade toner. Looks great! Medium coverage, hydrating, does not cling to dry spots, long wearing and barely creases, I do 1-2 pumps, layers a second time well where you need to build coverage. I use a beauty blender and only set my under eyes / t zone.. Looks and wears better if you don't overly set it with powder. So thrilled Well is carrying this! Have been using this foundation for about 6-7 years now. Great ingredient list that makes me feel good about wearing it all day, most days of the week. It gives a natural glowy finish that rivals pricier luxury foundations and the coverage ranges from light to fuller depending on how much product you use. Important to know this is NOT transfer proof - IÃ¢â‚¬â„¢ve learned to be careful with shirt collars and coats and to try and use finishing powder, but still end up pre-treating a lot of collars with shout just in case. I put up with it because I like the ingredient list and this is a tried and true product for me, but for some might be a dealbreaker. light coverage, and thanks to the ingredients, i feel great about using it on my skin! Amazing product, light, you skin feels moist and glowing all day long. Recommend to anyone who does not need heavy make up.